Gillian carefully weaves just enough of the light and the dark of her personal life and the influence of this on shaping and responding to her vocation, to create a wonderful laugh-out-loud, poignant, thought -provoking book of compassion and hope. She reminds us of the power we each hold to heal ourselves, and our world. 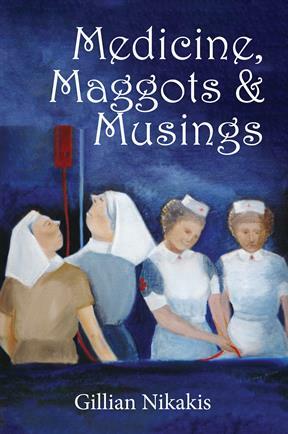 As a lifetime career nurse, reading this book brought back so many memories, good and bad. To understand the nursing profession, the passion and dedication nurses have for their profession and how they cope with difficult situtaions, read this book. It reminded me of the many wonderful people I have nursed, and my satisfaction with my career choice. This story provides readers with insights into not just what has shaped the author’s personal and professional life, but the dynamic cultural and political events that impacted upon our daily lives and that of the nursing profession. Her positivity, humour and sense of what is right has vividly brought to life the story of the endless possibilities of nursing and of life itself; and she is still a work in progress. I recommend it to anyone, both young and old, who is interested in the care and dignity of the most vulnerable people within our community. GILLIAN NIKAKIS trained at the Alfred Hospital in 1957-1960. She has written a light hearted social history using her career as a nurse, midwife, community health nurse, and credentialed mental health nurse to describe changes she has seen in nursing, medicine and the world in the last 50 years. An artist and published author she has brought her interests together in this book. Her story is funny, tragic, fascinating and compassionate. She has received an OAM for her services to Mental Health.